The procedure was quite simple and did not last for more than ten minutes. First, the area was cleansed to remove make up. Then, strip wax was placed on the area using cotton buds to ensure a more precise application. Next, a piece of cloth was placed over the wax and it was swiftly pulled to remove the hair. In just a second, most of the hair in the area are gone! 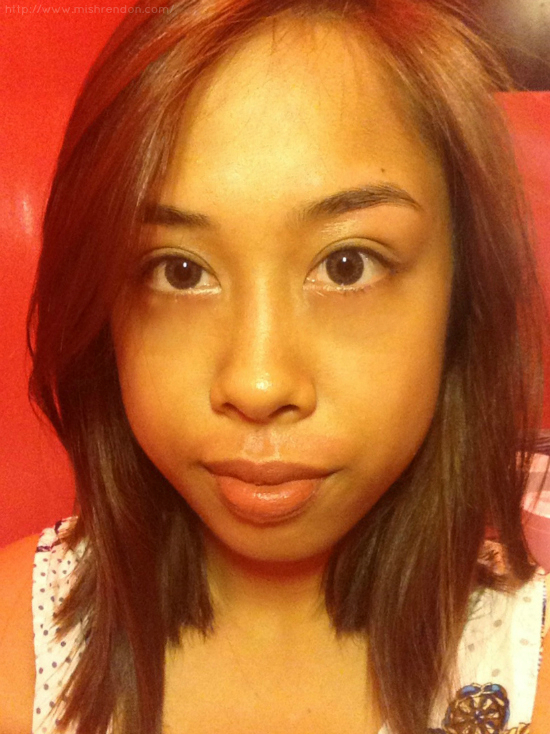 After shaping my brows and removing all unnecessary hair, my brows were lastly trimmed to perfection. The same procedure was done with my lip area. The only difference was that powder was generously placed on the area before applying strip wax. This was to prevent the wax from penetrating the skin, thus, lessening the pain. Their lip waxing treatment usually uses a combination of strip and hard wax, but my technician opted to use strip wax only since I have very fine hair. In my opinion, the lip waxing was more painful than brow waxing. The brow waxing did not even hurt at all. Brow waxing, by the way, is less painful than tweezing and offers better and cleaner results. 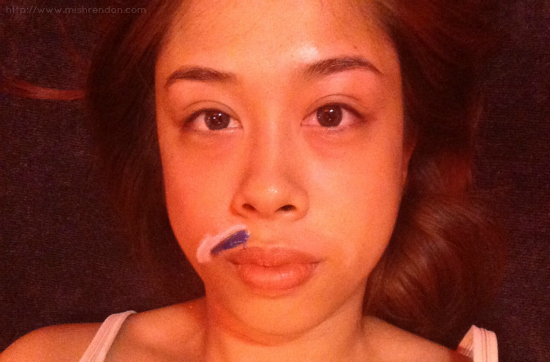 With the lip waxing, I squirmed a bit as the cloth was being pulled but the pain was tolerable. Despite having fine hair, the area was left clean after the procedure. It's been two weeks since I've done the treatment and the growth of hair was slower as compared when my brows are shaved. Why have your waxing needs done at Pink Parlour? 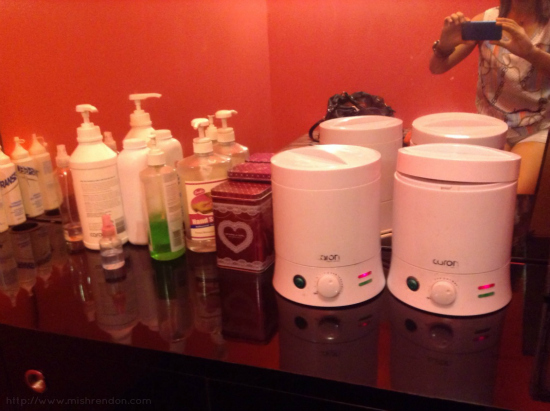 I believe it is because of how hygienic they facilitate their treatments. I've tried waxing in other salons and to my horror, they double dip their sticks! I could attest that in Pink Parlour they never double dip their sticks. You don't even have to remind them not to do so and they do not double dip no matter how many sticks they could use on one customer. It only means that Pink Parlour assures you that every cent you pay is worth it! Sorry for the shiny face, but they placed some oil on my face to lessen the painful sensation and redness of the waxed area. Please ensure that you don't have anything big happening (say a date, or event, or any other occasion) prior your waxing appointment cause the redness of the area would last for at least two hours. On top of that, you are not allowed to wet the area or put make up over it for the next four hours. I haven't tried waxing my brows or even my lip area.. I hope we have that kind of service here in my place too.. It's my first time to visit your blog and I super love your post here.. <3 I havent tried waxing my brows yet.. It's always threading X.X but I do love this though.. It also reminds me that I should clean my brows asap.. Thanks for this post though.. Seems to have nice services! Nice! Haven't tried them but will try to visit :) Thanks for sharing! Same problem over here with my eyebrows - they always look uneven! Thanks god I have glasses so it's hard to recognize haha. You look great though!